A locals guide to Sunday Lunch Brighton. From a traditional British pub roast, Indian cuisine or a trip to a Sussex country pub. Meat-free? 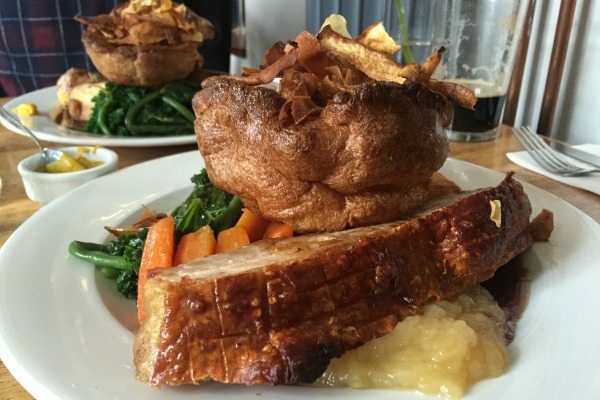 Check out our vegan and vegetarian Sunday Roast guide. Now home of the Brighton Roast Co. these guys serve a range of roasts every day of the week, making them a dab hand by Sunday, they also serve until 10pm on Sunday making them one of the few still available for those late to the party. The focus is on excellent quality meat from local butchers, but there are great vegan and vegetarian options too, including vegan cauliflower cheese as one of the available sides. A unique alternative to the traditional Sunday Roast. 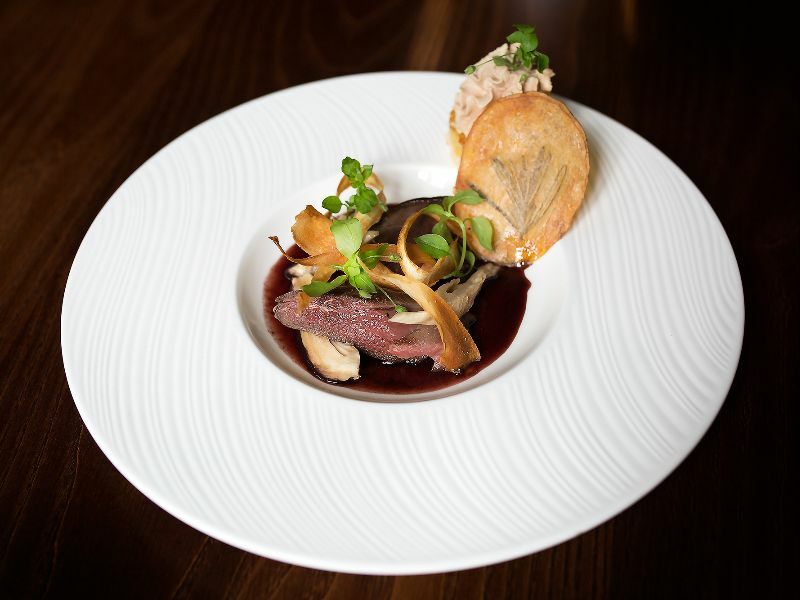 Try different cuts of excellent quality meat, carefully prepared on their unique Josper oven. 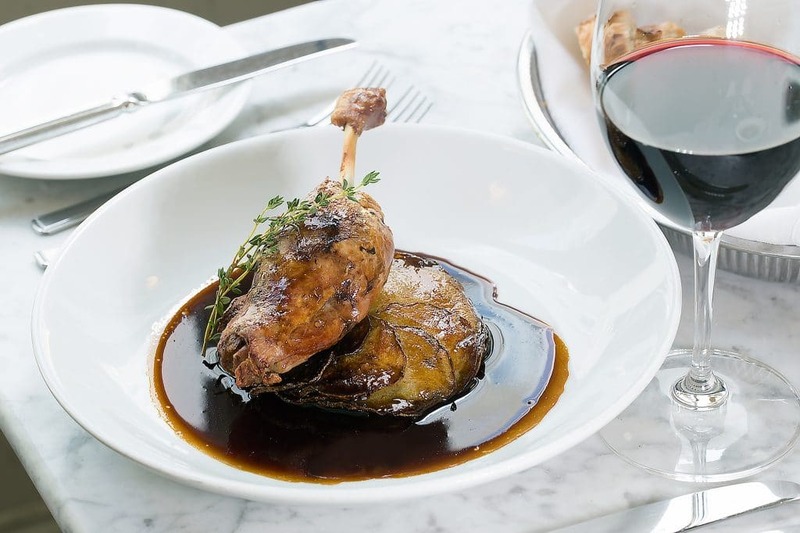 500g of their 35-day dry-aged roast sirloin or a whole roast chicken with stuffing anyone? One of the hottest tickets in town so make sure you book well in advance. Sunday Roast Review. The Hartington in Hanover once held a reputation as the place to go on Sunday’s for a roast, sadly things changed, but happily, things have changed back! New ownership in autumn 2018 set to reestablish the glory of “The Harty” bringing in head chef formerly of the Three Jolly Butchers to create a roast whose reputation sent out waves of excitement into the neighbourhood. These are classic roasts, that get the balance of elements just right, with strong vegan and vegetarian options served until 7.30pm with live jazz starting from 6 pm to keep the end of the weekend satisfyingly full and relaxed. 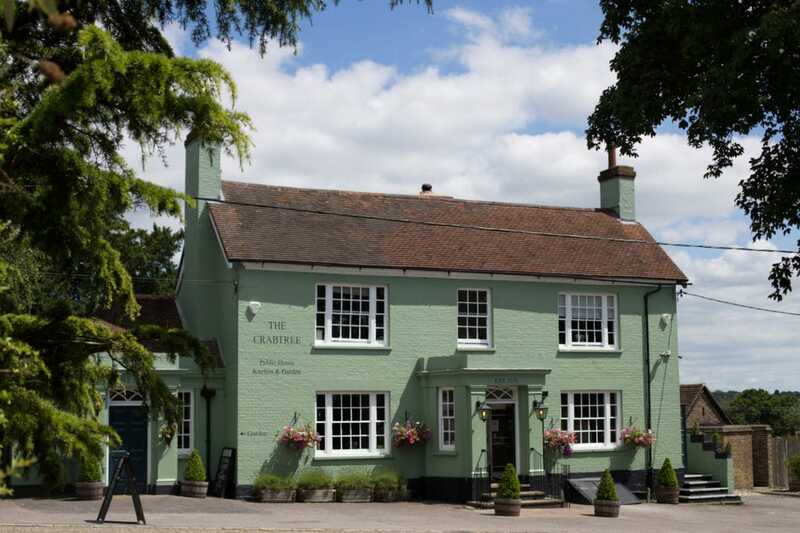 The Cleveland Arms is an independent pub that has been family run for over 30 years. Current owners Jamie and Sarah Davies have a long history in hospitality, in particular, pub and restaurant managing, and this is very obvious when visiting The Cleveland Arms. 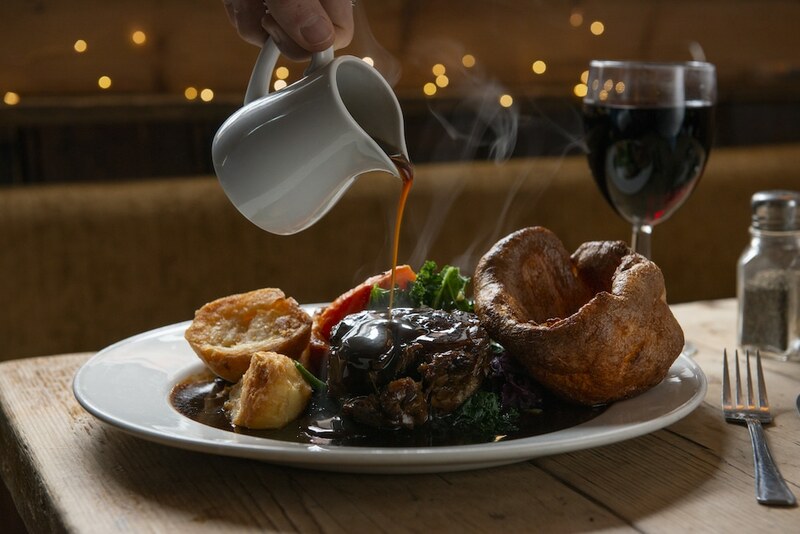 As well as their A La Carte menu, Sunday roast at The Cleveland Arms is a massive hit with guests, with a variety of meats from local butcher Barfields, as well as plenty of choice for non-meat eaters and children too. 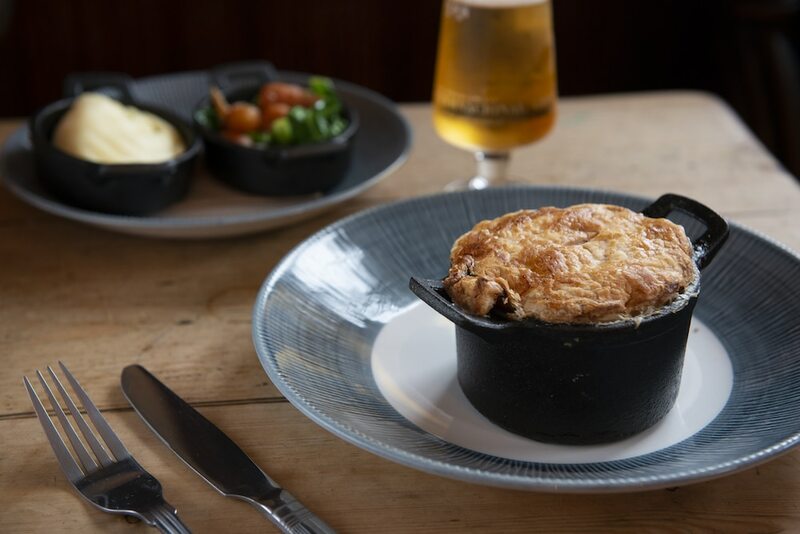 The Dorset brings you everything you long for in a country pub, right in the centre of town – A rustic interior, a classic pub grub menu, alfresco dining and a welcoming, friendly front of house team. 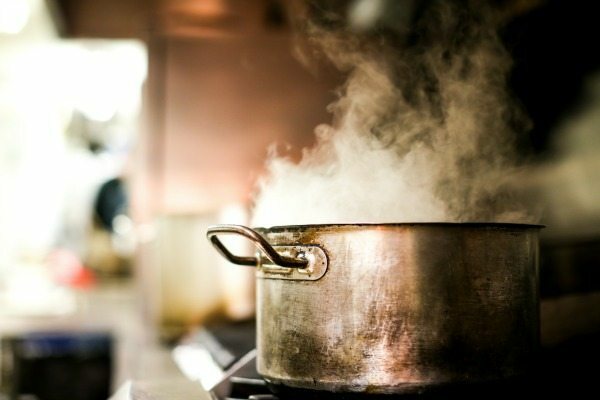 Not only is their A La Carte menu top notch, but they also offer a brilliant Sunday Roast menu with plenty of variety. Choose from a selection of meats or vegetarian options, all served with roast potatoes, cauliflower cheese, seasonal vegetables and a good old Yorkshire pudding. 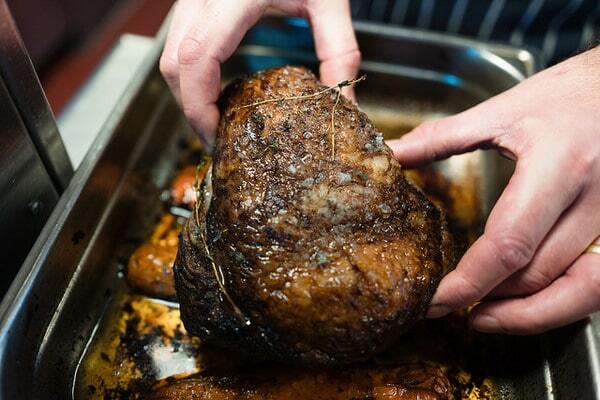 Sunday lunch is one of the busiest times of the week for the Independent, and they take their roasts seriously! 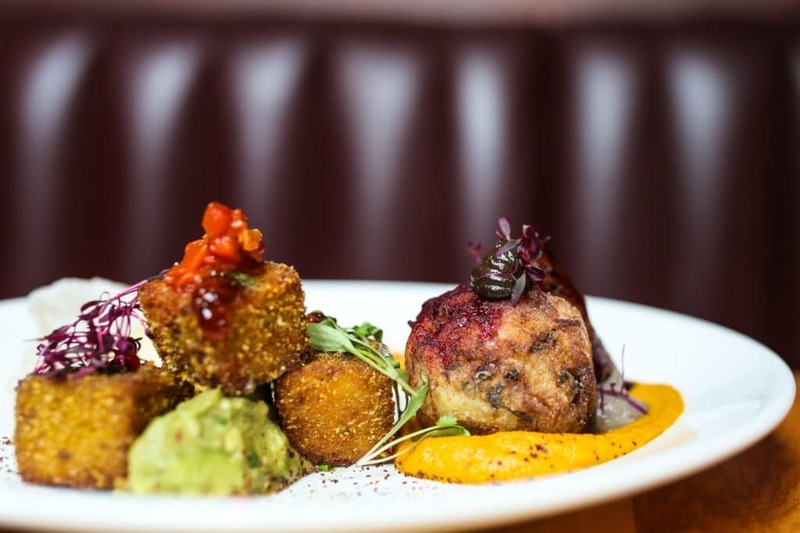 The Sunday menu is formed of some of the best starters and main dishes from the daily menu alongside a selection of tasty meat and vegetarian roasts – with the very popular vegan, gluten-free tofu. Sunday review. But isn’t the Salt Room all about fish? Well, friends yes it is, however, their famous Josper Oven cooks meat too well to pass up the opportunity of providing Brighton a banging roast dinner! Meant for sharing, their roast comes with plenty of options for sides, and with their meat being the highest quality you can be sure that it will be melt-in-the-mouth standard. The ever so popular and super-cool New Club joined the roast party, and in their super-cool way, they did it late. If Saturday night spilled into Sunday morning and you’ve missed lunchtime service there’s no need to worry with The New Club bringing Brighton The Last Supper – roasts from 3.30-7pm. Keeping with their usual way of doing things, these are roasts with a slight American/ Deep south note about them and seasonally selected ingredients. Under 12’s get a half price and half sized portion and amazingly the vegan option even includes that holy grail, the vegan Yorkshire pudding. Their signature burgers stay on the Sunday menu, should you be hankering for a Dirty Burger. 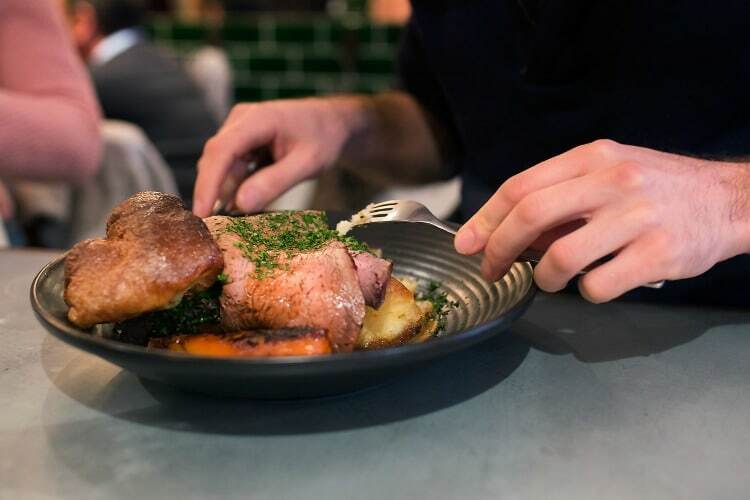 Alongside the ever popular weekday menu The Mesmerist pub in the center of Brighton’s Lanes serves up delicious Sunday Roasts too! The decor is darkly decadent and boasts gorgeous victorian inspired furnishings, so you can eat and feel like kings and queens all at once. 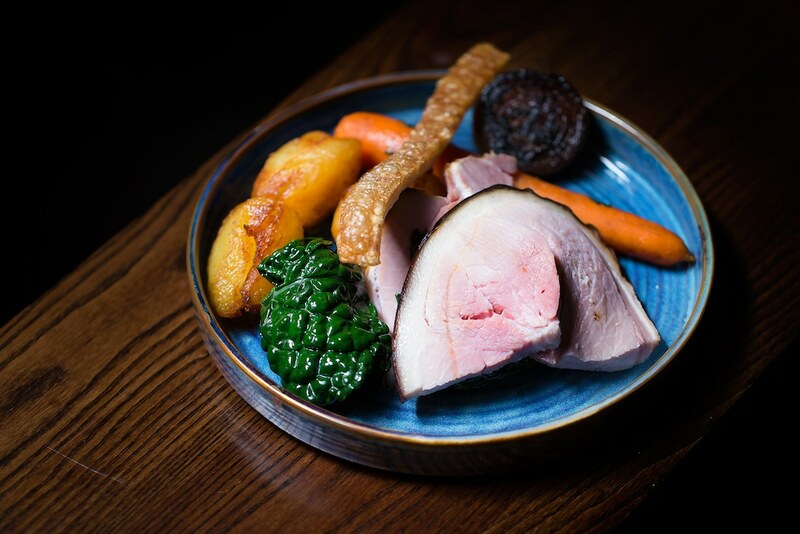 Enjoy the Pork Belly roast with indulgent crackling and lashings of silky gravy (which also comes Gluten Free if requested), with a pint of beer from local brewery Brighton Bier. Could you ask for much more? 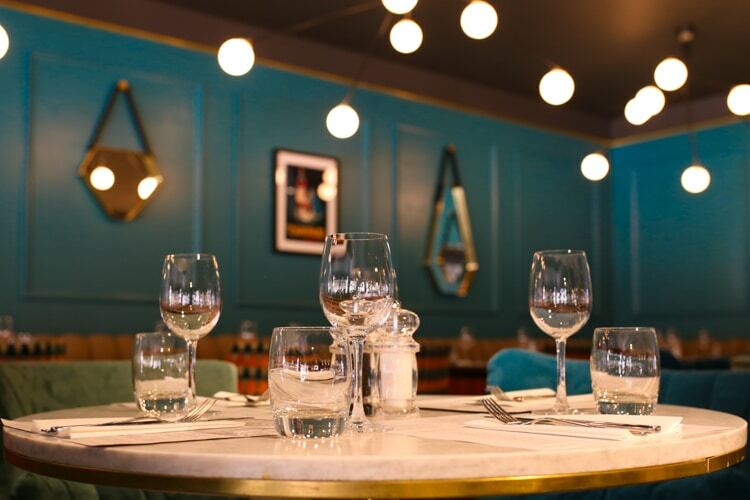 On Sundays, guests of the Brighton Metropole Bar can head to the adjoining restaurant, ‘1890’ to enjoy the Carvery Jazz Lunch, featuring Chef’s Forerib of Beef or a locally caught fish dish from the Kitchen. With stunning seafront views, there’s really no better location for your Sunday Lunch on a sunny Brighton day. Going to a pub for a good classic Sunday lunch is something many Brighton residents get up to. 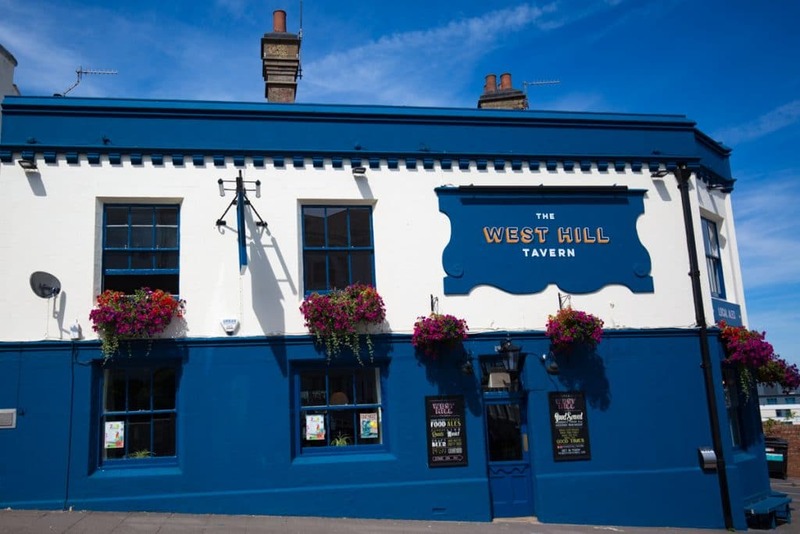 Weather you’re after meat or meat free, you’re sure to find what you want at The West Hill Tavern. 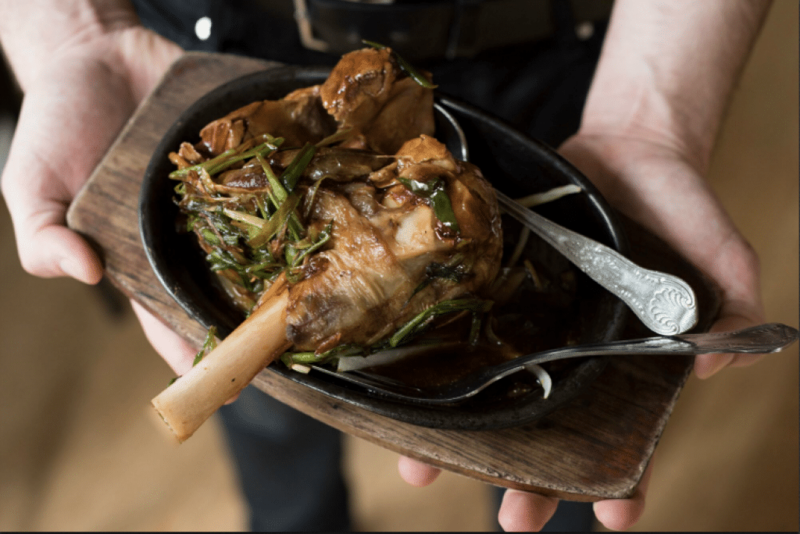 With it being just a two minute walk from Brighton train station, along with being dog & family friendly, it’s the perfect Brighton pub to visit for your Sunday roast. The Jetty Restaurant boasts spectacular panoramic views across Brighton’s iconic seafront and is just moments from the bustling Lanes and British Airways i360. 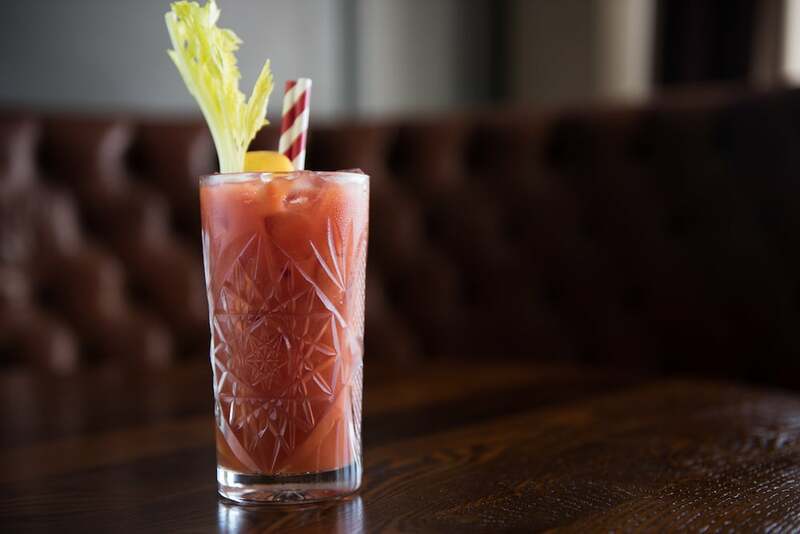 Offering a special Sunday Menu you can choose from the 3-course menu (£19.95 which includes a Bloody or Virgin Mary) whose mains include beef wellington and roast lamb and pork alongside classic dishes such as fish and chips and paella. One of Brighton’s well-known pubs, The Black Lion, is situated in the heart of The Lanes just near the seafront on Black Lion Street. 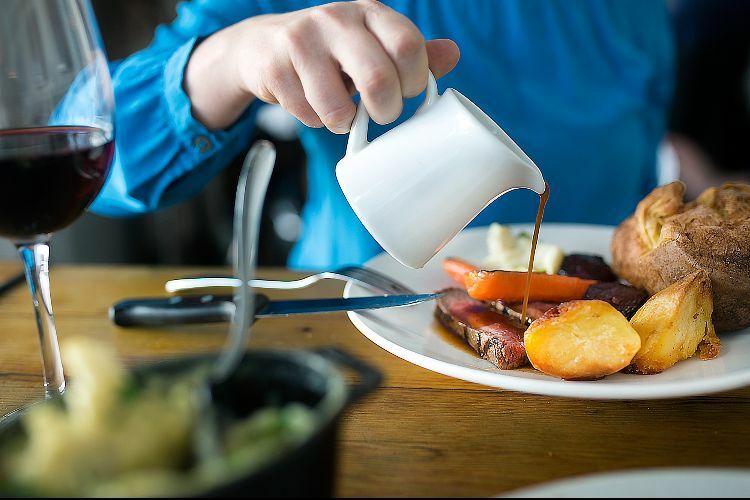 Serving a wide selection of roasts with a 3-meat roast if you can’t choose, there’s a kids roast choice for the little ones, and for special dietary requirements, there’s gluten-free and dairy-free roasts. 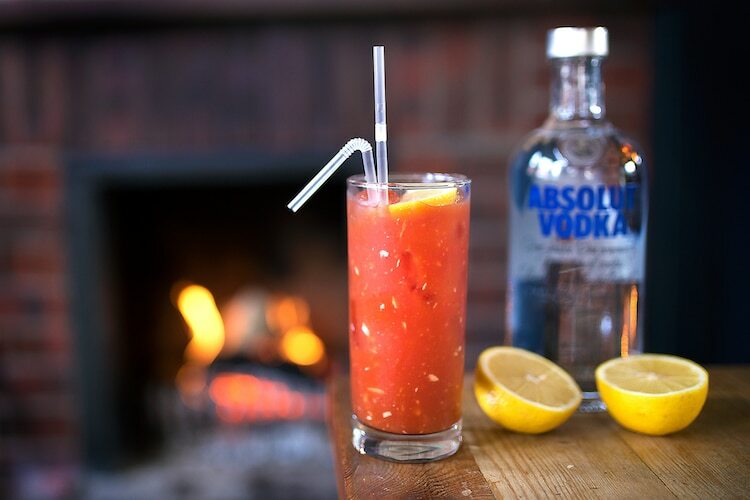 If a Bloody Mary’s calling you then they have specials with the ‘around the world’ Bloody Mary’s on the cocktail menu. Pre-order option available for late roast bookings. After a stroll along the seafront on a Sunday morning, be sure to stop off at The Walrus for a traditional roast dinner before you head home. On the menu is beef, pork, lamb and half a roast chicken, all served with perfectly prepared veggies and delicious gravy. The Vegetarian Wellington is full of seasonal vegetables too. Not into roasts? An extensive alternative menu is also available showcasing the good old beef burger and Gluten Free fish and chips! Sundays at No 32 are entitled the Soho Sunday gathering: Encompassing the social spirit of Soho and set to fantastic music from live DJs throughout the day. Open from 11:30am every Sunday, they serve a brunch & Sunday lunch menu, with traditional roasts starting from just £11.95. As the day progresses, you’re invited to join in with an early evening cocktail session (with 2 for £10 on selected cocktails, all day and night) and, following this, a more upbeat session until late. 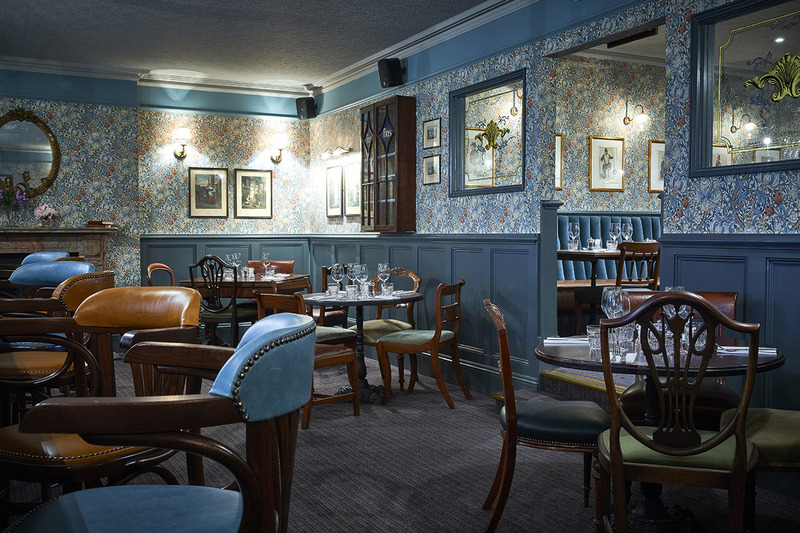 For a superb Sunday lunch, visit the Old Bank Steak and Ribs in bohemia Kemptown. 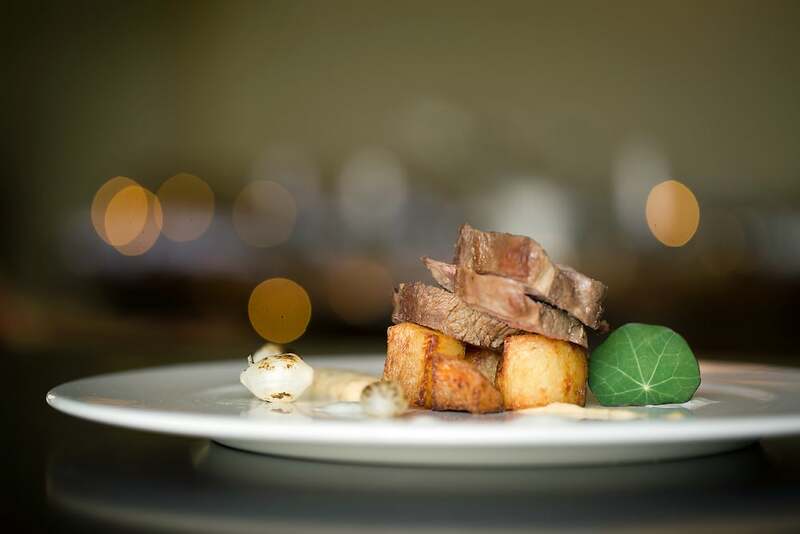 In a cosy and relaxed setting, enjoy succulent beef, lamb or chicken with roast potatoes, parsnips, three seasonal vegetables and home-made Yorkshire puddings. 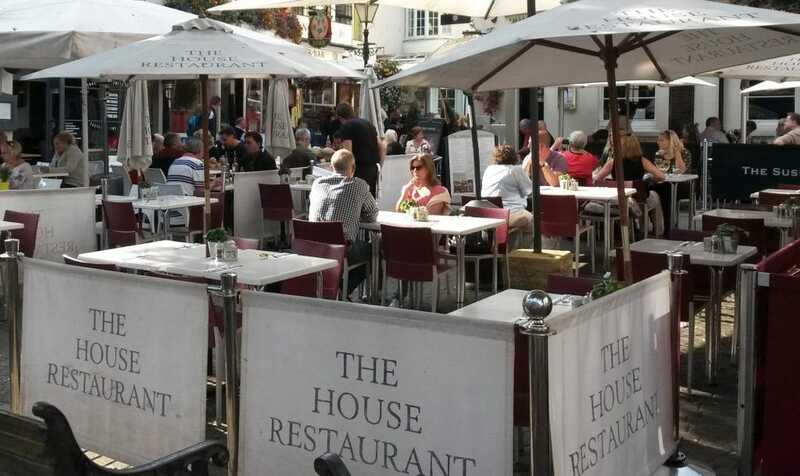 Great venue for informal dining or for a spot of alfresco dining. Looking for something a little different to the standard meat and two veg on a Sunday? Head over the Fourth and Church for roast dinner done in their own unique way. Explore a special selection of the small plates that pack a big punch flavour wise and are perfect for sharing with those you love (or to enjoy alone, if you fancy!). 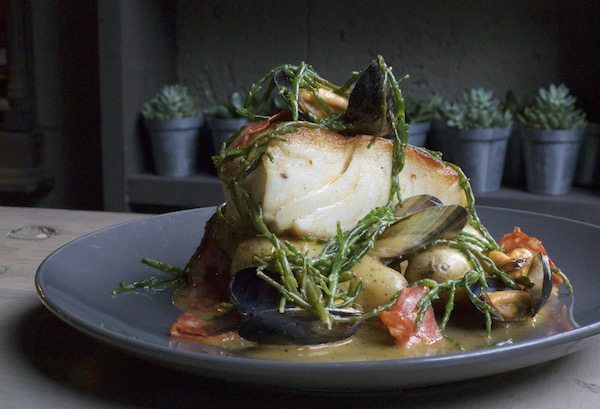 At just £25 per person, this feast is a real steal and is available 12pm-9pm every Sunday. If you’re looking for a relaxed, friendly and vibrant place to quaff some wine or treat yourself to some lovely grub then look no further! 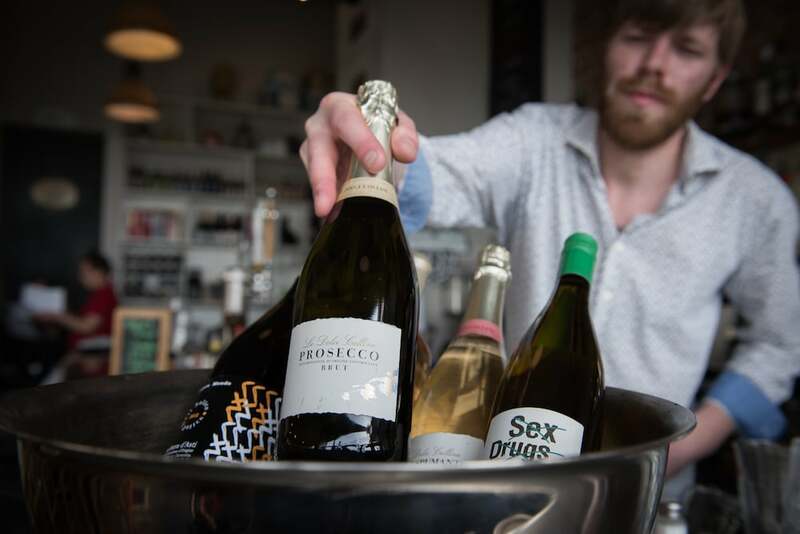 Libation offer a well thought out wine list, a list of bubbles that won’t be beaten in Brighton & Hove, and a splendid Sunday roast. 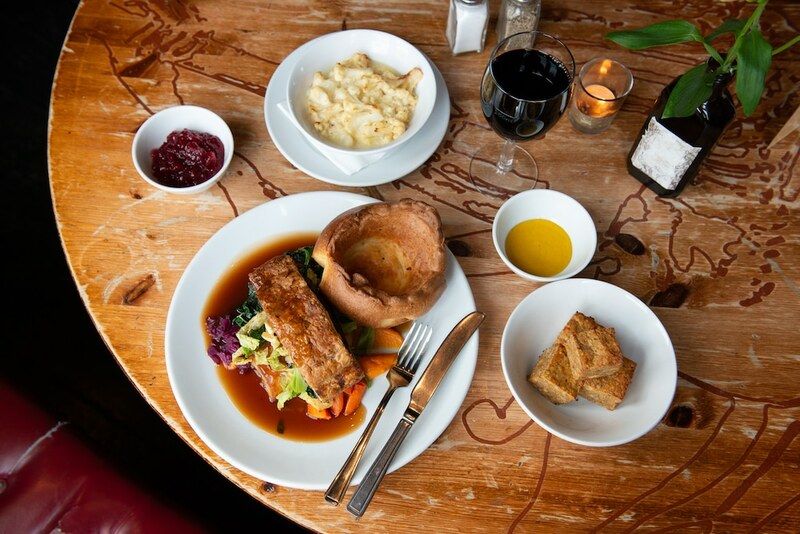 The Sunday menu will lead with a selection of Roasts whilst offering some alternatives from the usual menu. 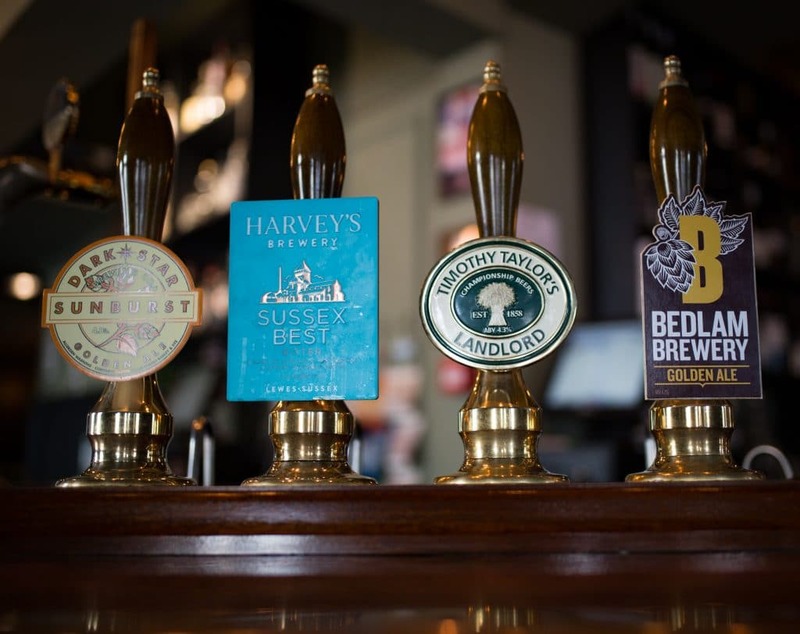 Hove place is a traditional Hove pub that has recently undergone a great transformation with a tasteful refurb and a great new menu. With lots of space under shelter in their large gardens this is a traditional setting with a good selection of ales and wines – a good locals venue. Bistro style. Delivers a quality Sunday roast! 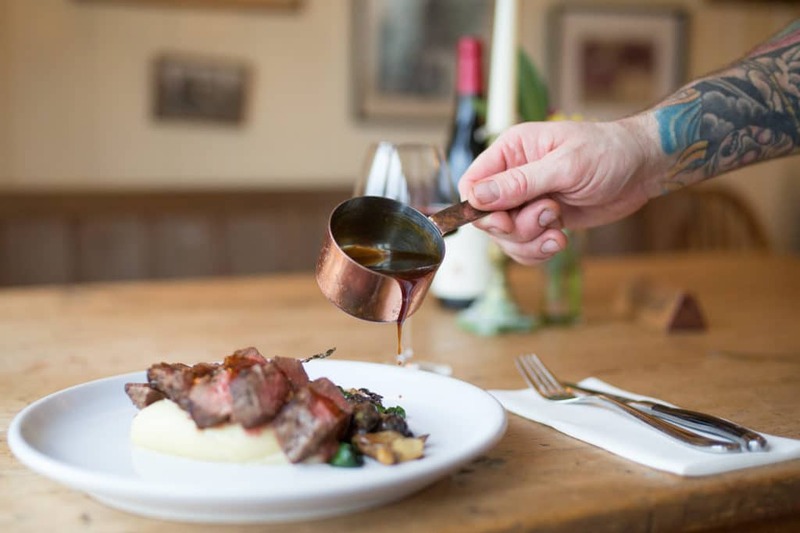 When it comes to locally sourced foods you can’t get much closer than The Sussex Ox, the roast beef and lamb on their Sunday lunch menu is from the acres of farmland owned by the pub and in which it is set. The kitchen gardens too provide much of the seasonal veg and organic roast potatoes. 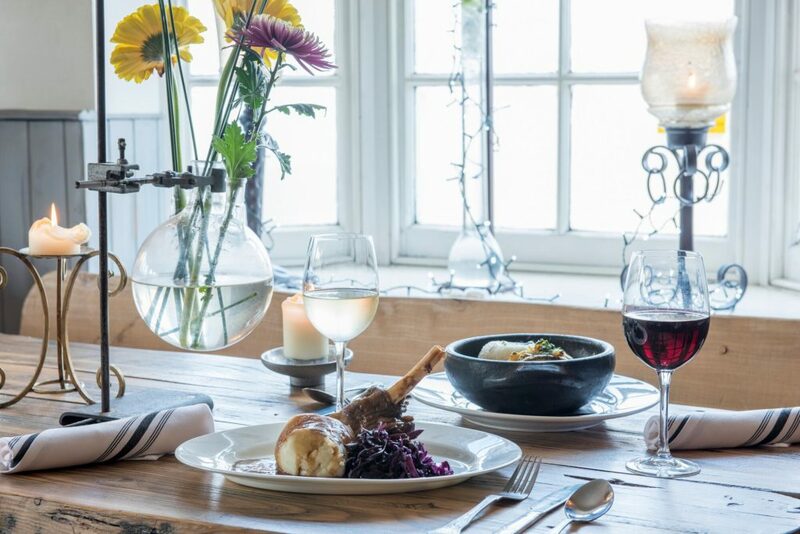 Couple this with spectacular views, and a fine selection of bio-dynamic wines and real ales and the Sussex Ox may well have the winning formula for a Sunday afternoon. Book here to avoid disappointment. The Shepherd & Dog is an idyllic country boozer with the character and charm from a bygone era. 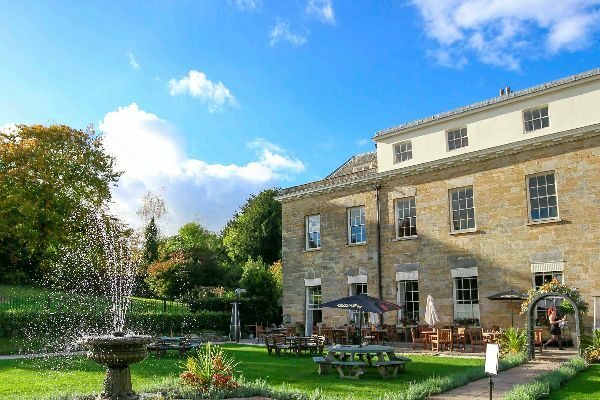 Think toasty fireplaces, low beamed ceilings and a wooden rustic panelled interior – then combine this with a backdrop of ebbing streams running through their gardens and acres of space and you’ll be on your way to understanding what this venue has to offer. Sunday Review. 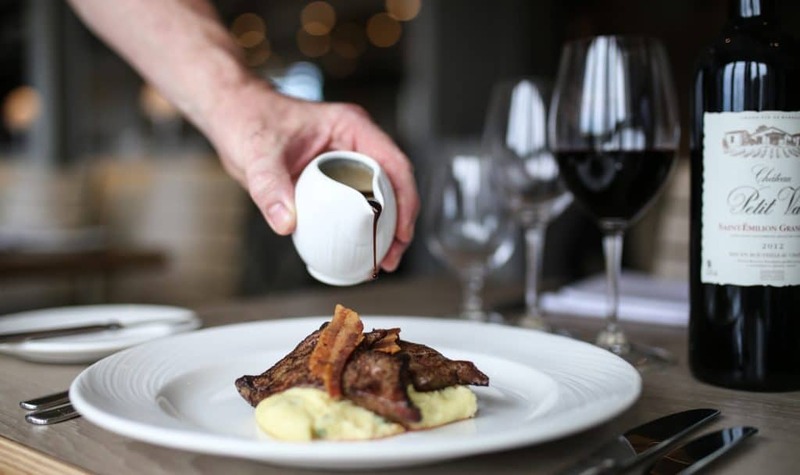 Ghyll Manor restaurant and hotel is a 17th Century oak beamed manor house set in acres of breathtaking West Sussex countryside. The Ghyll Manor restaurant is a comfortable, light and relaxed space, marrying modern simplicity with a respect for original features, such as the decorated beams, and a sparingly applied Jacobean brocade. 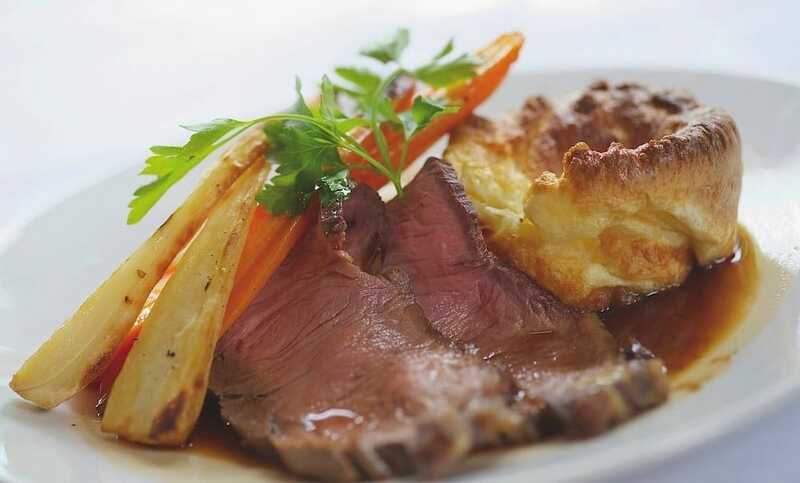 A classic Sunday Lunch is served at Ghyll Manor restaurant between 12 and 2pm every Sunday. This again celebrates local produce and features both vegetarian options and options for those looking for lunch, but not Sunday Lunch. 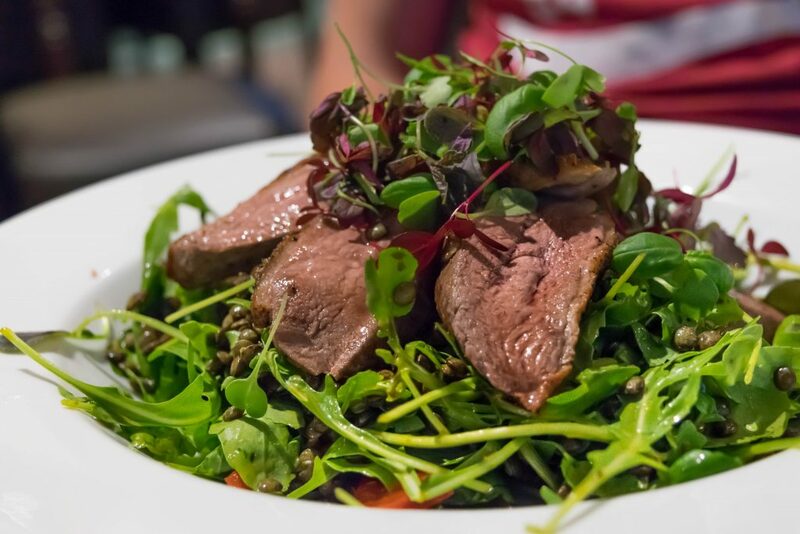 Where possible the Wheatsheaf uses locally grown and organic produce to bring you a menu of well prepared, simple food. Together with the traditional Sunday roast, there is a good selection of vegetarian dishes and a splash of Brazilian cuisine, in homage head chef, Nilton’s, native land. The venue is a combination of light, airy dining and cosy traditional pub,and picturesque beer garden. Formerly two pubs, the Magpie and the Sportsman, the Grade II listed buildings were knocked through into one over recent years and this traditional ‘beer house’ has been part of the villages heritage ever since. 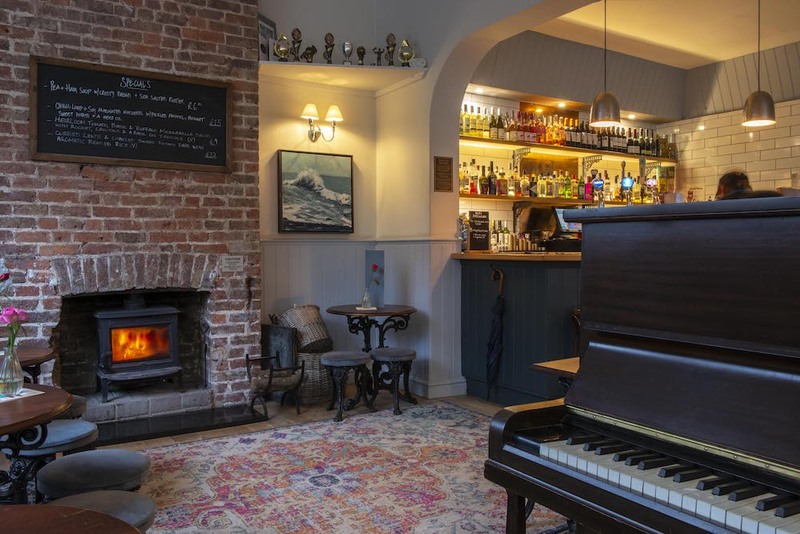 Situated north of Hurstpierpoint at Goddards Green, the Sportsman public house has been serving great food and real ales for including a cracking Sunday roast. 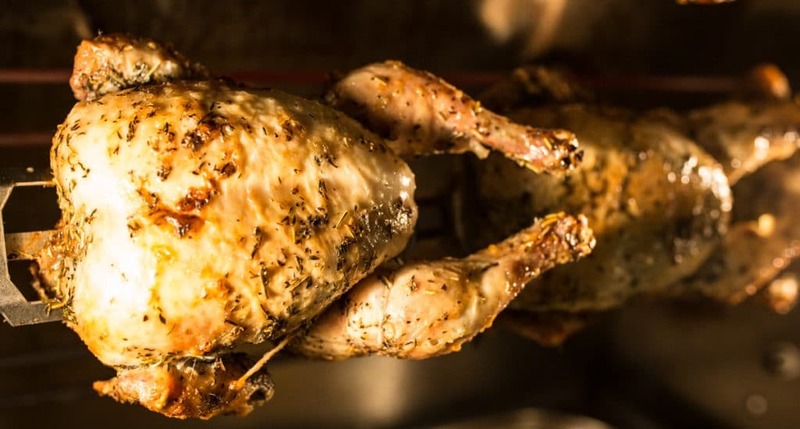 Situated in the heart of Lewes, Italian restaurant Aqua not only offer fresh authentic Italian food, but on Sunday’s they have a great traditional Sunday roast for £11.95 which is served all day. A choice of striploin of beef, rack of pork or chicken with all the trimmings. 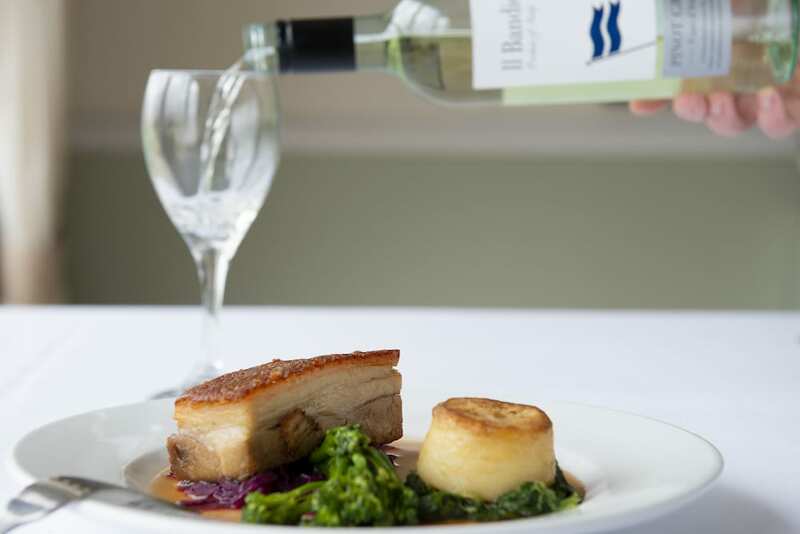 Aqua pride themselves in using fresh seasonal produce sourced from local suppliers. Be sure to check them out! In the heart of Sussex, Mid Sussex Golf Club describes itself as ‘more than just a golf course’. Its newly refurbished bar and lounge and restaurant boasts some of the best facilities in the area for members and guests. 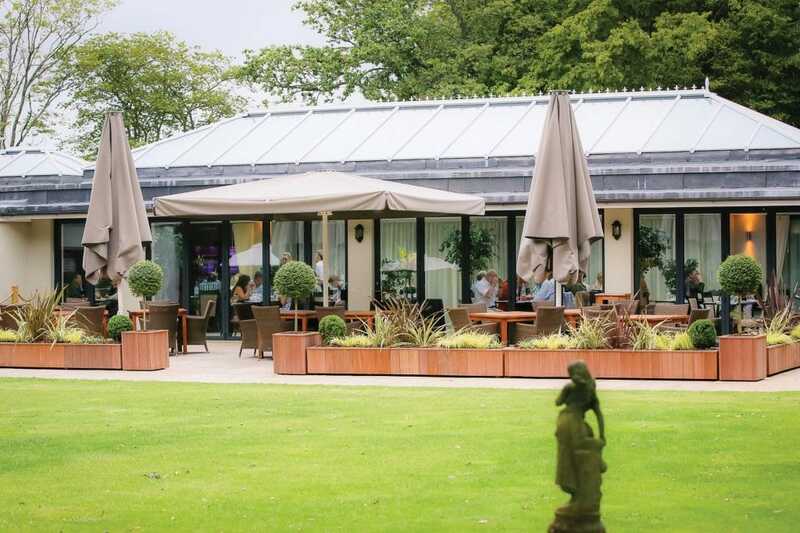 Each and every Sunday the spacious bar and restaurant serves Sunday Carvery which includes a selection of 5 locally sourced types of meat served with fresh Vegetables, Yorkshire Puddings, Pigs in blankets and a selection of differently flavoured gravies. Starters and Desserts are also available and can be chosen from our menu on the day. 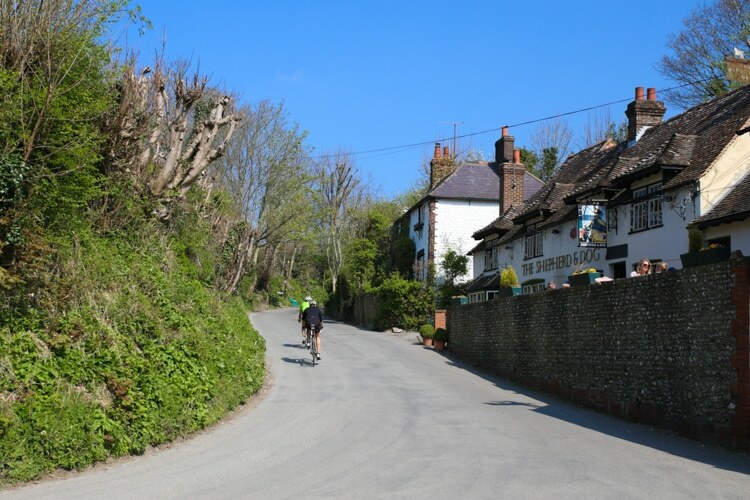 Just ten minutes east of Brighton one will find the exquisite village of Rottingdean nestled on the Sussex coastline, and it is here you will find the vibrant local pub, the Plough Inn. 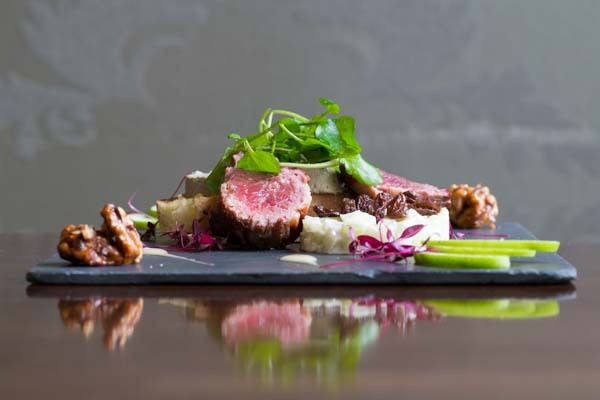 Offering a classic pub menu along with an innovative Gastro Menu this venue caters for everybody. Great for a Sunday stroll. We recommend one of their set lunch or set menu options. Described as Chinese fine dining and with pan asian additions on the menu also, Gars restaurant in Brighton is a wonderful place for a meal out, a private party or a special occasion. If there is a large group why not book their Karaoke room for a Sunday with a difference. Why settle for a lump of gravy-covered meat and potatoes on Sunday when you can share? 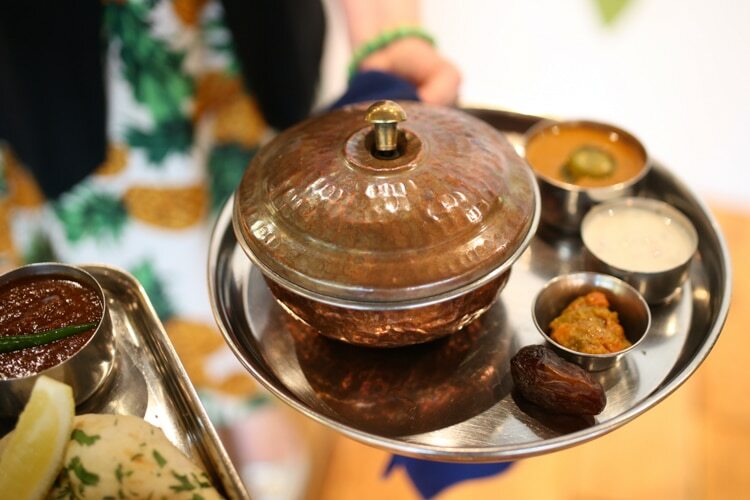 Head to Curry Leaf Cafe with your friends and share platters of vibrant, expertly spiced South Indian street food paired with fragrant chutneys and pickles. Wash them down with a range of affordable craft beers served in a relaxed, cafe-style dining environment. Chilli Pickle, Indian Restaurant, Jubilee Sq. Sample dishes include a selection of tandoori, roasts and kebabs, curries, dosas and biryanis, along with a selection of sides, nibbles and changing specials. 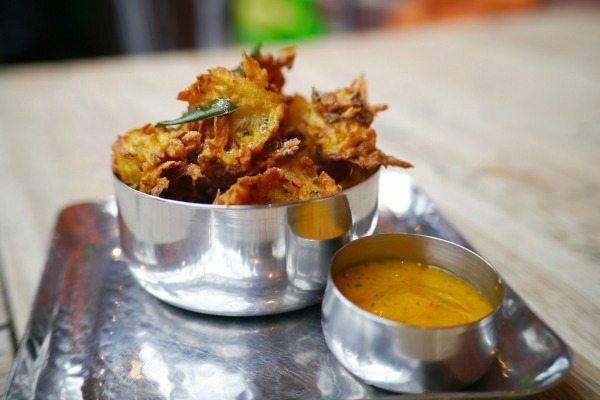 The Chilli Pickle offers a little bit of something for everyone and is a great dining option for meat eaters, vegetarian and gluten free diners alike. Full menu available and the Chilli Pickle Canteen is also available 5.30pm to 10.30pm on a Sunday. Dining at Terre à Terre is a culinary experience like no other, with intense flavours, sublime textures and a combination of ingredients that few have the imagination or daring to put together, it will change the way you view vegetarian cuisine forever. 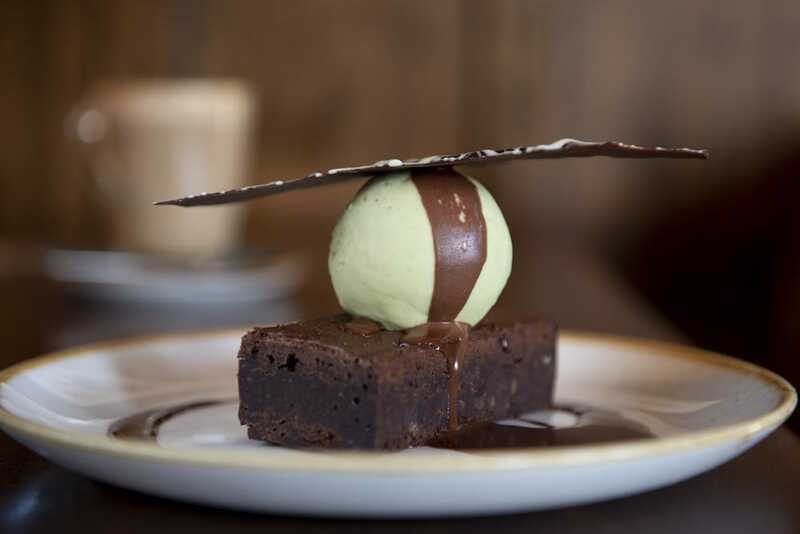 Recent winner of Best Family dining at the 2015 Brighton and Hove Food and Drink Awards, they offer full family dining menus available with an incredible range of afternoon teas to choose from too! One of our top ten and highly recommended venues. 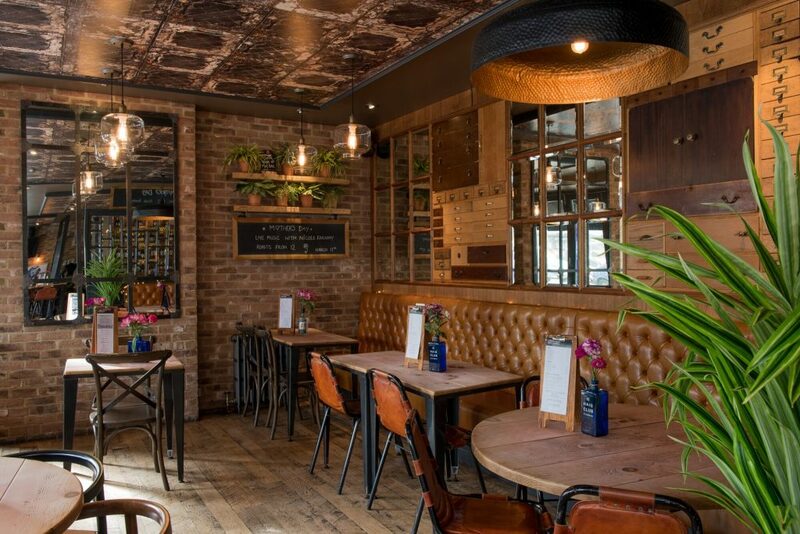 Forming part of the old Victorian Arches underneath the Kings Road, the Bucket and Spade Cafe is ideally located on the Promenade, next to the Kings Road Playground & Paddling Pool. 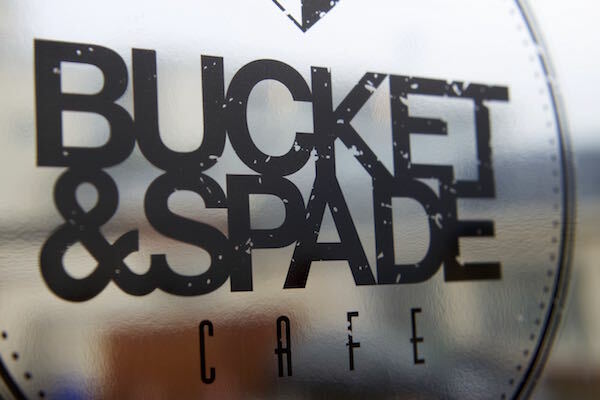 The Bucket & Spade Cafe is the perfect place to bring the family, with a large selection of children’s meals and snacks on offer. They have plenty of book crayons and chalk board tables to keep the little ones entertained. 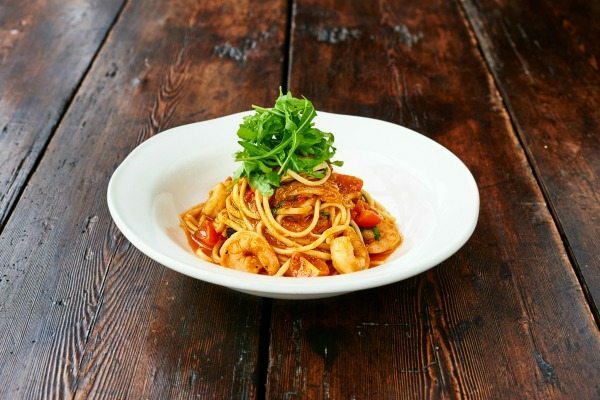 A partnership between Jamie Oliver and his Italian mentor, chef Gennaro Contaldo, they have won thousands of fans for their delicious and affordable food and their friendly and welcoming service. Sunday lunch options include a savoury, fatty, and moist boneless pork roast of Italian culinary tradition called a Porchetta. Curry on a Sunday? Why not we say. 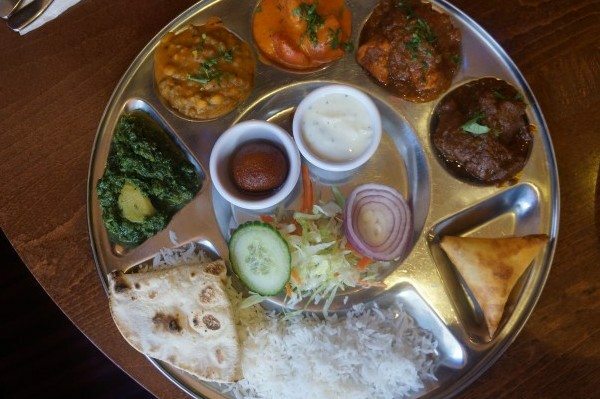 Try ‘the food of India…’ here at Chaula’s locations in Brighton or Lewes. Enjoy selected starters free with every main course on a Sunday 11 til 3 then 5 til 10.30pm. Available in both their locations. Chaula’s is one of our top three choice for Indian restaurants in Brighton and Sussex. A must try, whichever day of the week. A great option for a Sunday offering a little something for everyone – Pizza, pasta, steaks, fish. 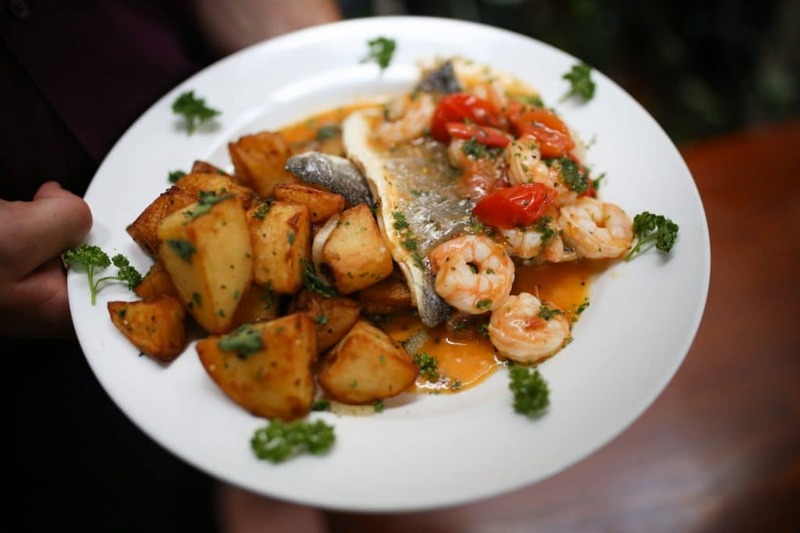 Set over 5 different floors, Al Duomo’s is the longest serving specialist Italian ristorante in central Brighton and has been serving its customers since 1991. Great value for money and authentic Italian in a great atmosphere. Perfect for big family gatherings on a Sunday or celebrations. 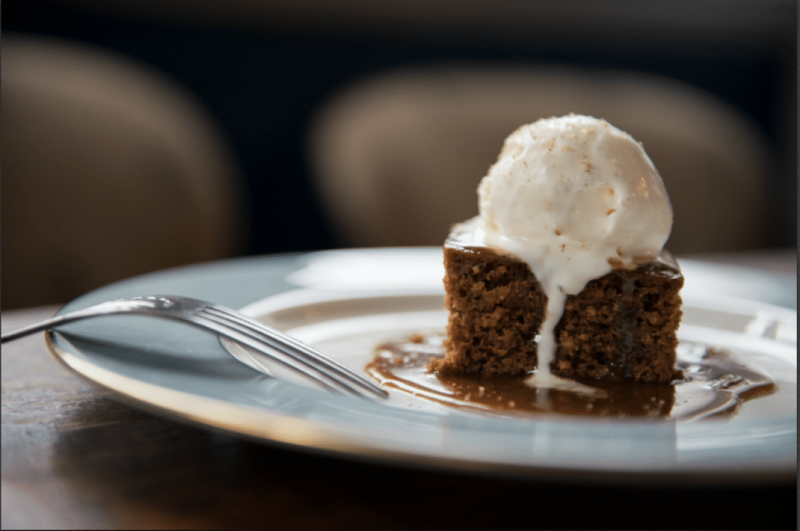 Smokeys is great Sunday roast alternative as it provides you with some classic American dishes that will satisfy the most demanding of appetites. 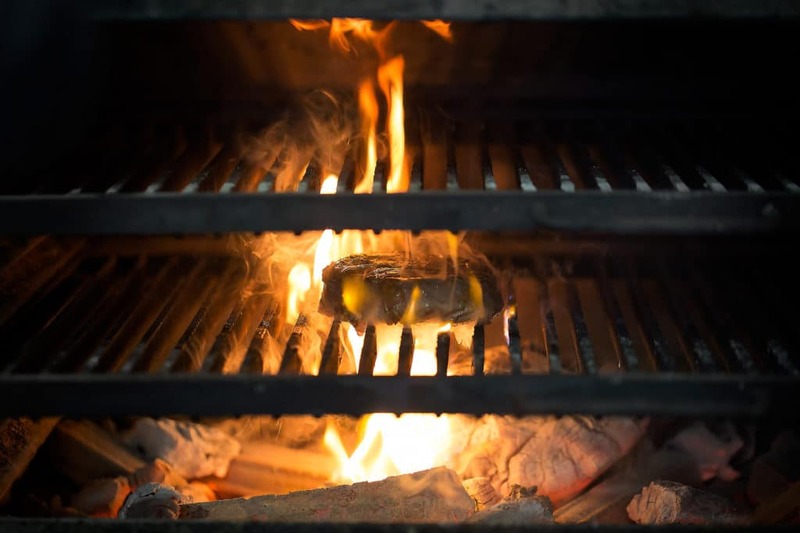 Think slabs of spare ribs, BBQ pulled pork, burgers, chilli dogs, T Bone steaks, New York Cheesecake and more. Close to the seafront, with outdoor space too.